It is with great excitement and pride to announce we’ve moved! Our new home is only a few Brooklyn blocks from our old studio. Welcome to our gorgeous light filled studio in Red Hook, where we plan to host client meetings, workshops and all kinds of interesting events including small parties, product launches and think tanks. 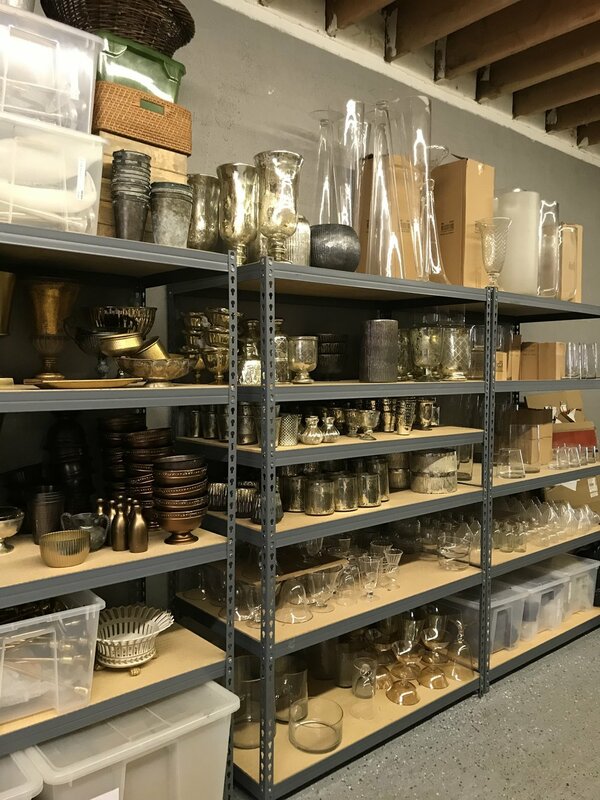 This is something I have been dreaming about for a long time - a showroom to welcome clients and a separate production space where we can store all our hard goods and make a mess. I still have some decorating to do - looking for a statement hanging light fixture and considering wallpapering a feature wall, perhaps (?). And most excitedly, we have a small outdoor garden that I can’t wait to design as a place to meet and get creative in. More to come. 2019 is starting to book and we can’t wait to have you over. Call us to discuss your party plans and how we can help bring all kinds of beauty to your special day. In the meantime come in and take look….. In love with our new grass green couch by Article . Odyssey Dining Table by CB2. The bentwood chairs I picked up on Amazon.